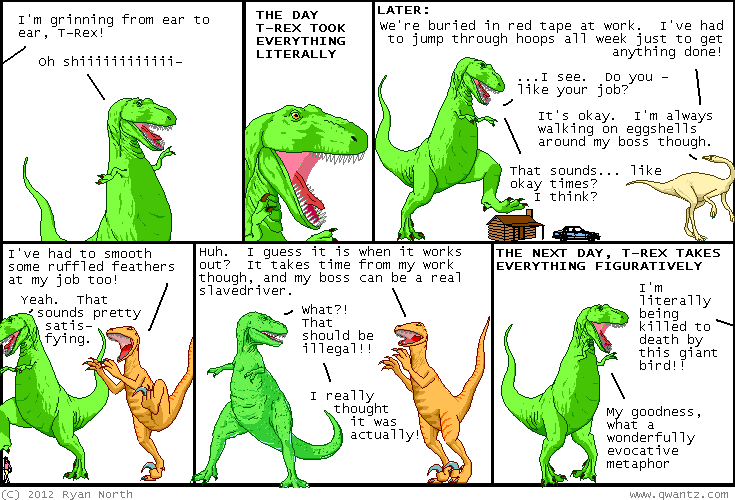 Dinosaur Comics - July 11th, 2012 - awesome fun times! –I think this is very symbolic for... something! July 11th, 2012: Scroll down, waaaay down, and you'll see this summer's awesome Summer Footer, featuring T-Rex at the pool! As usual this was done by Danielle Baskin, who normally turns her artistic talents towards painting amazing bike helmets. Thank you Danielle!